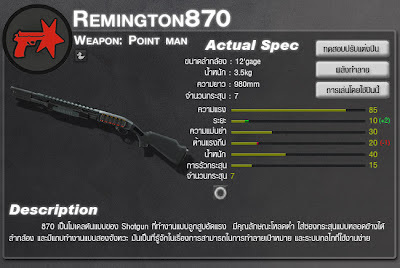 The Remington870 is a Shotgun first introduced during the 11-11-09 Content Update. 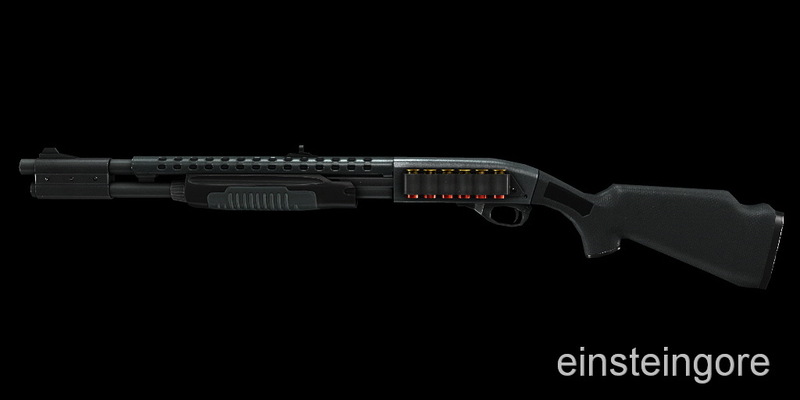 It is more commonly known as the R870, M870 or just 870. The 870 is a pump-action shotgun that deals quite a large amount of damage, killing most enemies in one shot as long as they're within optimum range. 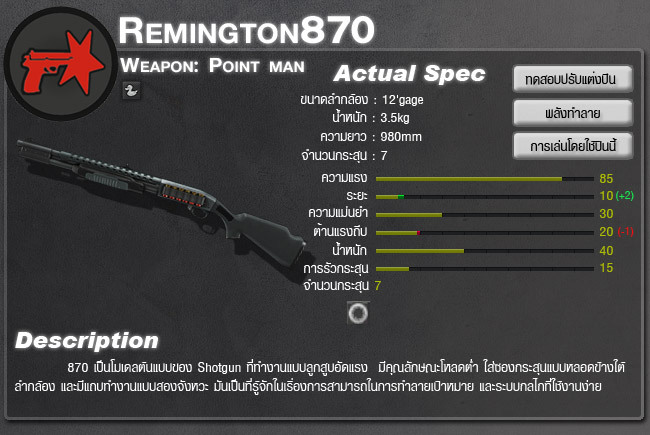 Because it is pump-action, its rate of fire is rather slow. 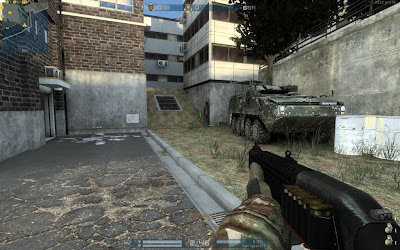 If players aren't killed in the first shot, the user must wait for the weapon to cycle and risk getting killed or switch to a sidearm to finish the enemy off. 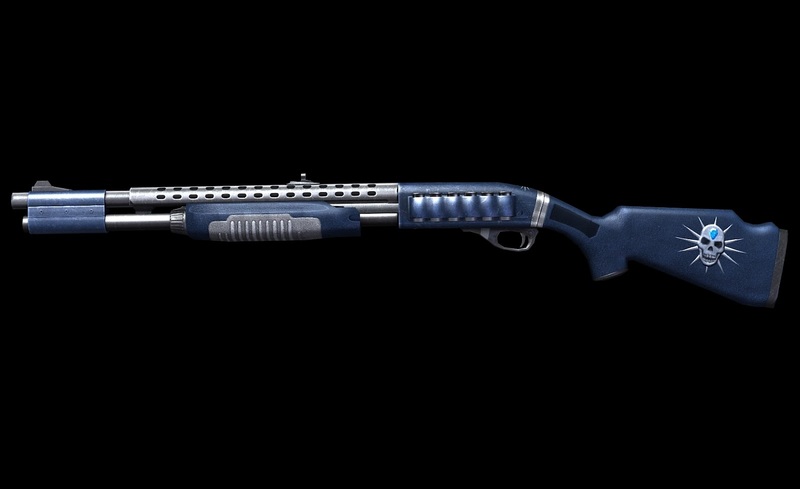 The 870 has the advantage of being able to fire mid-reload because of its tube magazine. The 870 is one of the most common shotguns in the game thanks to its extremely high one-hit kill capacity (currently the highest of all non-capsule shotguns), but is outperformed by the other pointman weapons in the professional circuit due to its low firerate and range. If one cannot aim rather well, you'll probably die really quickly. 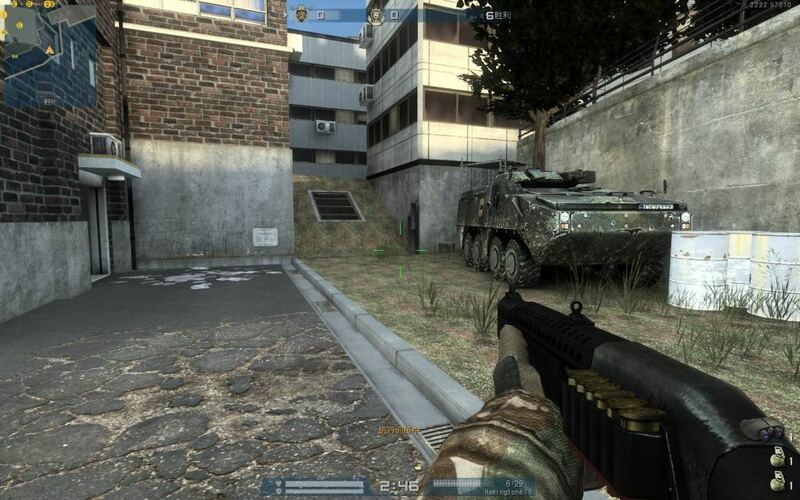 Missing the first shot will usually result in a quick death.